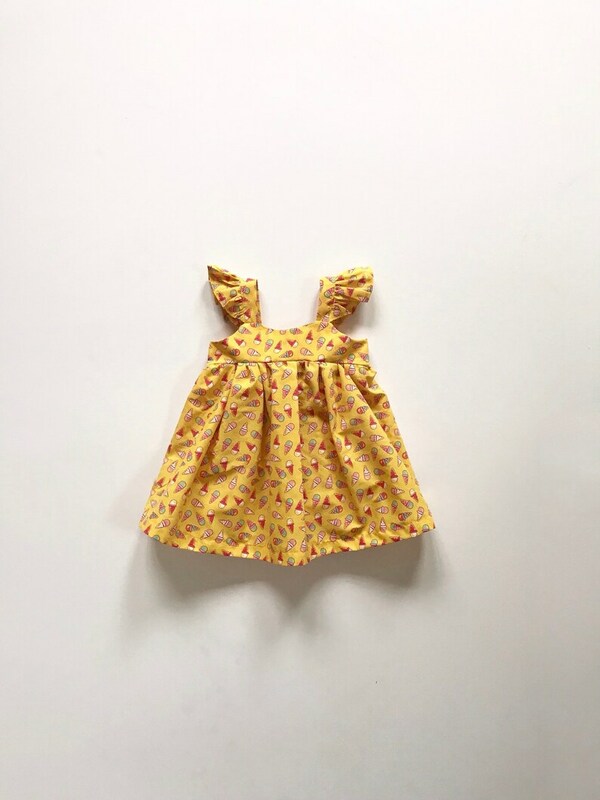 Made from bright yellow cotton fabric with a fun, retro style ice-cream print - this dress is an adorable addition to any little ones wardrobe! Ideal for warm, sunny days this dress has a full gathered skirt with ruffled straps. The back of the bodice is elasticated so that it is easy and comfortable to wear. 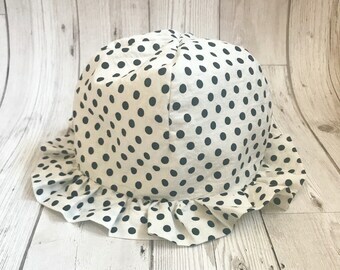 We also sell matching hair bows so you can create a whole, beautiful outfit that would be perfect for a birthday party or special occasion! 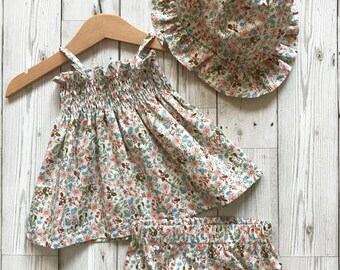 This girls ice cream outfit is perfect if you are throwing them a summer or beach themed birthday party - this yellow dress would fit in perfectly with the theme and also be an outfit to wear again and again! This dress is available in sizes from 1-7 years. If you have any queries regarding sizing then please don't hesitate to get in touch. This dress is easy to care for; it can be machine washed at upto 40 degrees, tumble dried and ironed.